It’s hard to believe we are just days away from the beginning of a new academic year. 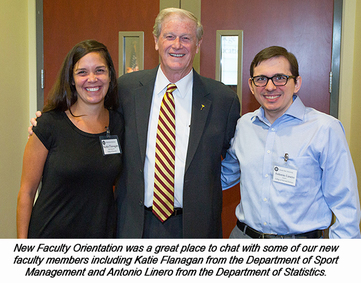 There are so many fresh faces on campus — new faculty included — and I hope you’ll join me in welcoming them to the Florida State University family. I’m proud to say we have another talented group of freshmen enrolling this fall. Our ability to recruit these high-achieving students is a testament to the quality of education you provide. Some of you have been away from campus during the past few months, and I’d like to update you on what has been a busy summer. When I was hired as president, one of my top priorities was to address salary compression and market inequities of faculty pay. We worked together with our friends at the United Faculty of Florida-FSU, and I’m pleased that we are implementing performance, merit and market equity increases for eligible tenured and tenure-track faculty, as well as eligible specialized faculty. We have designated $2 million toward market equity. You are the backbone of this university, and these are well-deserved increases. I'm happy to share that staff and graduate student teaching assistants also received pay increases. In addition, we listened to your requests and are now offering a 12-month pay plan for 9-month faculty. Another one of my continuing goals is to find ways to be more responsive to the needs of traditionally underrepresented students. I was pleased to provide additional funding to the Center for Academic Retention and Enhancement (CARE) to add almost 100 spots to the seven-week Summer Bridge Program for a program record of 400 first-generation college students this year. 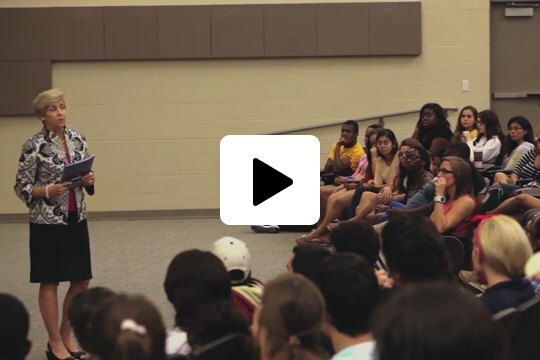 CARE, featured in this video, has been nationally recognized for its role in helping FSU to increase our graduation and retention rates among traditionally underrepresented students. As many of you know, we’ve been actively recruiting National Academy of Sciences members to bolster strategic areas, and I’m thrilled we are adding another phenomenal researcher to our faculty ranks. Laura Greene, who will join us this month as chief scientist of the MagLab, comes to us from the University of Illinois at Urbana-Champaign. 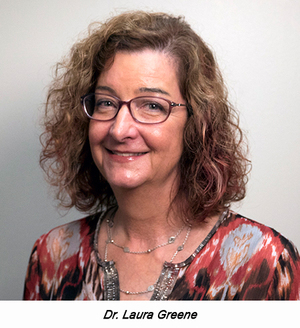 Dr. Greene is a thought leader in condensed-matter physics, and she brings more than 20 years of scientific research and teaching experience to this position. We are in the midst of national searches for a provost and a dean of the College of Business. The search advisory committee for provost, chaired by Dean Emeritus and Professor of the College of Music Don Gibson, will start reviewing the initial slate of candidates in mid-September, and we will keep you posted on the progress. David Rasmussen, dean of the College of Social Sciences and Public Policy, is heading the search for a new business dean. We are working with our colleagues at FAMU to begin the search for the next dean of the College of Engineering this fall. And while we certainly can never replace College of Law Dean Don Weidner, we are starting the process of hiring a search firm to help find his successor when he retires as dean next year. The strategic planning committee is working with AKA Strategies, which will be back on campus Aug. 27. The strategic planning process helps us shape our university initiatives for the next five years and is a critical piece of our ongoing SACS accreditation. Your input during this process will be incredibly valuable. Please be on the lookout for more information soon. As you may be aware, a bill to carry guns on college campuses was filed earlier this month in anticipation of Florida’s legislative session in January. I just want to assure you that my stance on the issue has not changed, and we join the state’s other universities and police chiefs in opposition to this bill. At our June 26 Board of Trustees meeting, we welcomed four new board members, including Professor Susan Fiorito, president of the Faculty Senate, and Jean Tabares, president of the student body. William “Billy” Buzzett, a partner with the law firm of Harrison, Rivard, Duncan & Buzzett in Panama City, Fla., and Bob Sasser, CEO of Dollar Tree Stores, also began their terms. In addition, the trustees elected Ed Burr to serve as board chair and Les Pantin to serve as vice chair. I know Chairman Burr and our new trustees will do an outstanding job because they share a common goal with you and me — elevating Florida State to national prominence. Finally, below are links to just a few examples of the positive media attention our top-notch faculty’s research continues to generate. I really enjoy reading about your great work in national media outlets and sharing the clips with our friends! I’m looking forward to another exciting academic year, and it is truly my pleasure to work with you. As always, I welcome your ideas and encourage you to send me your feedback.